For support, we recommend going to the OpenDoor Support Forum. 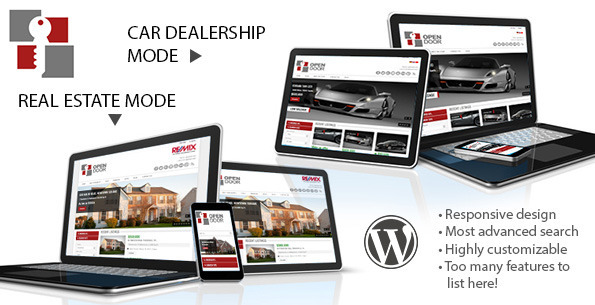 Compatible with OpenHouse/Automotiv. 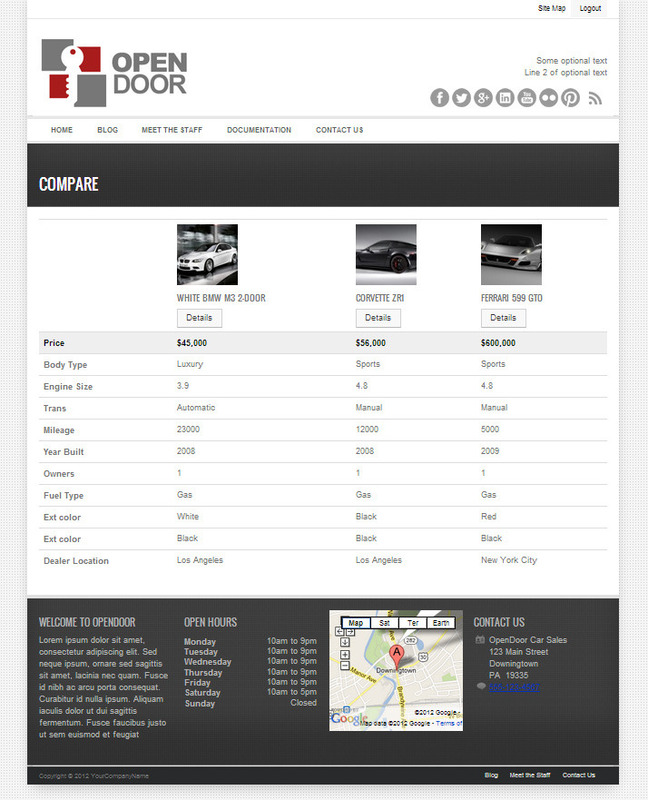 If you are coming from OpenHouse or Automotiv, then changing to OpenDoor is a breeze. All your current Openhouse listings will easily carry over to this theme, so you will not need to re-post them. The only little thing is that all “banners” will need to be re-chosen in each listing, as the architecture for banners is totally different. 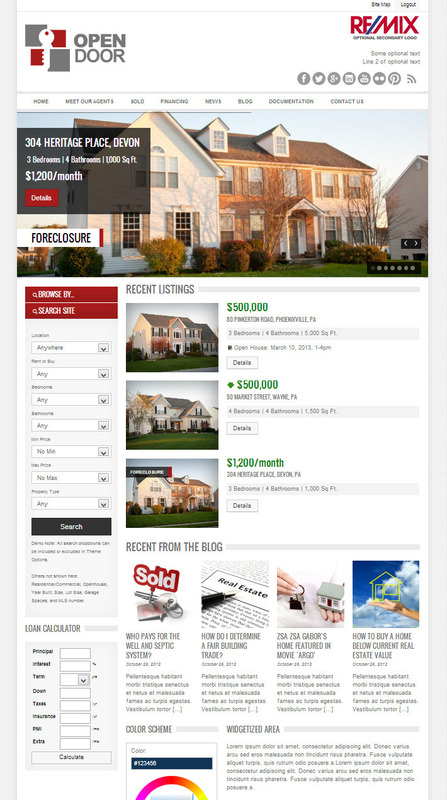 Robust Theme Options and Posting backend (for listings).See video. Search results, recent listings, etc. can display in 2 ways: blocks of 3 per row, or 1 per row. Easily customizable. Customize header height, header color/image, background color/image, footer color/image, and more. Homepage can include one or all 3 of these areas: Latest Listings, Latest blog posts, and widgetized block (up to 3 widgetized areas). The order of these areas can be set in Theme Options. Call To Action section. Under slideshow on homepage are optional Call to Action buttons. Customizable in Theme Options. Note: each call to action block is an image, so it is not translatable. Translation-ready (qTranslate plugin required) No .po or .mo files necessary! Only things NOT translation-ready is the banner text, and Loan Calculator (in Real Estate mode). Mark a listing as ‘Sold’ and have the ability to filter out all Sold listings from all places in site. Page Template to show all ‘Sold’ listings. Social networking: Facebook, Twitter, Google Plus, LinkedIn, YouTube, Flickr, and Pinterest. Include/exclude any of them from Theme Options. Enter a custom text to replace the price. For example: “Call for Price”, or “As low as $250,000”. Text is set on a post-by-post basis. Enter a “price reduced by” amount for each listing. If done, then a green down arrow will appear next to the price, with a tool tip showing how much the price is reduced by. Unlimited Color Scheme choices, in Theme Options. Lots of great slideshow transitions. Simple fade is the default but you can get as crazy as you like! Define unlimited types of banners in Theme Options. Each banner can even have a custom color tip. Lots of widgetized areas. 4 on homepage, one on each sub page side bar, and 4 in footer. Customize the wording of any section title, label, static text, etc. in Theme Options. Even in multiple languages without the need for .po and .mo files. Live and always up to date documentation in the form of a Google Docs public document. Ability to “comment” inside the documentation if you thing something needs clarification, or if there is an error. Search by the following parameters: location, buy/rent, beds, baths, min price, max price, property type, commercial/residential, openhouse, year built, size, lot size, garage spaces, and MLS number. All of these can be included or excluded in the search form. So it can be as simple or detailed as you require. Dual agent support. Listings can have up to 2 agents attached to it. Add Agents via the Agent post type. Agent ‘Page Template’ will display all Agents on a page. Click on an Agent to see more info, like bio, and listings. Compatible with dsIDXpress plugin (sold separately. Monthly fee required with one time setup fee. See dsidxpress.com for details. This is the only IDX/MLS plugin that this theme is specifically written to support. Use other plugins at your own risk! Google Map and Street View on listing detail page. Optional MLS listings support, with dsIDXpress (www.diversesolutions.com). Replace the standard listings search with the dsIDXpress search widget. Or include BOTH standard listings search AND dsIDXpress search widget. Browse listings instead of searching by using the “Browse By” feature. 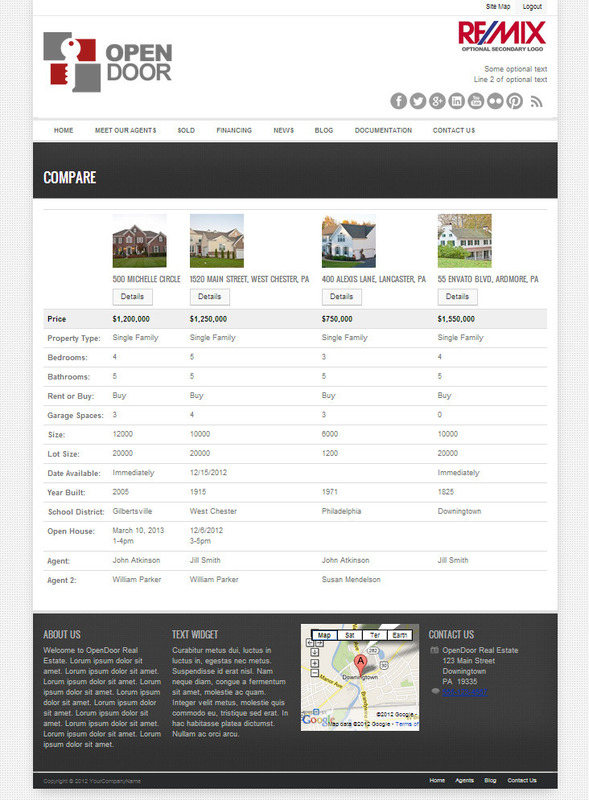 Browse By Location, Features, Property Type, Location, Price Range, or Rent/Buy. Option to have a second level of location search. See demo for an example. Select a State from the list and see a secondary location appear under it. With a little easy coding, you can extend it to unlimited levels of locations. Search by the following parameters: manufacturer, model, min price, max price, body type, model year, mileage, transmission, engine size, fuel type, and dealer location. All of these can be included or excluded in the search form. So it can be as simple or detailed as you require. Browse listings instead of searching by using the “Browse By” feature. 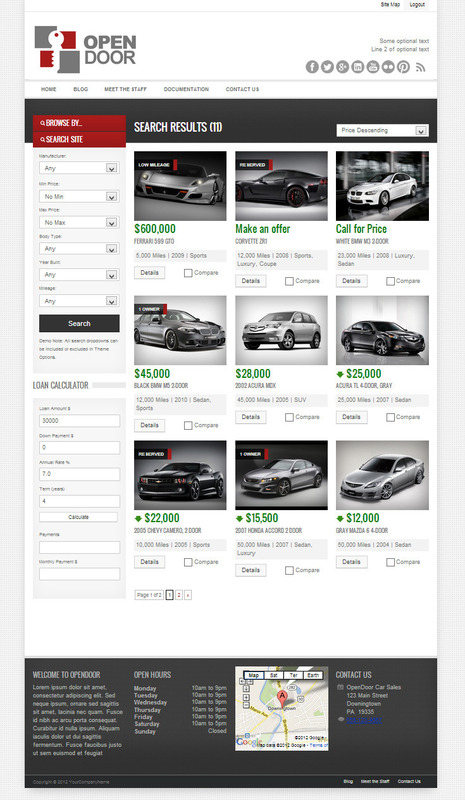 Browse By Manufacturer, Body Type, Model Year, Engine Size, and more. Option to have a “model” search dropdown appear when you choose a Manufacturer. See demo for an example. Contact form on each listing page. VIN detail output (optional) Output data on detail page from a VIN number (Vehicle Identification Number). See a listing detail page for an example. Note: An account at VINquery.com is required. VIN numbers are for passenger cars and light trucks manufacturered for North American markets 1981 to present. Sales Staff “Custom Post Type” and Page template. See demo for an example. 2 ways to get notifications on updates, bug fixes, theme news, etc.